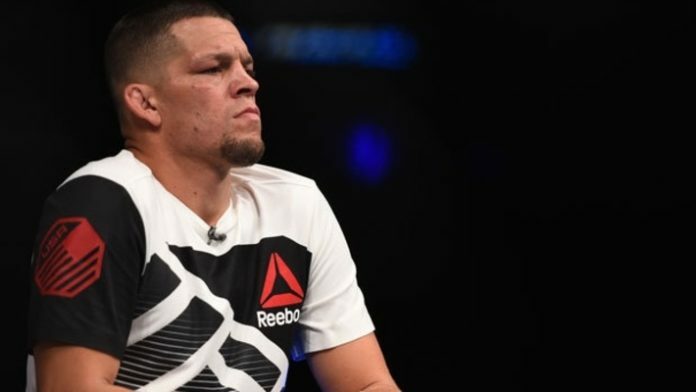 Nate Diaz is off UFC 230 from Madison Square Garden. Diaz was initially expected to make his highly-anticipated Octagon return against Dustin Poirier. The fight was even being pushed by fans to be elevated to the main event. However, after several changes, the UFC was able to land a heavyweight title headliner. News broke yesterday that Poirier was forced to withdraw from the contest due to injury. For a few hours, fans wondered if Diaz would accept a late-notice replacement to stay on the card. Sadly, Diaz was subsequently removed from the card as well. Mixed martial arts (MMA) fans are going to have to wait a bit longer for Diaz’s return. A fight between Diaz and Khabib would be a massive event. Khabib is fresh off a big win over Conor McGregor at UFC 229. The Russian successfully defended his 155-pound title against the Irishman. However, he’s currently awaiting possible punishments for his post-fight actions. The stylistic match-up between Khabib and Diaz is certainly an interesting one. While Khabib is a dominant presence on the ground, Diaz has the jiu-jitsu to keep “The Eagle” on his toes. Perhaps Dana White and company will consider this match-up moving forward. What do you think about a possible Khabib vs. Diaz fight?